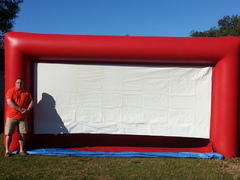 We specialize in producing outdoor movie events throughout central and north Florida. We use state of the art inflatable screens, Hi-Def digital projectors and professional audio systems. 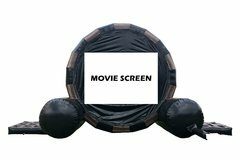 Please contact us about an outdoor movie at your next college, community or company event! Or join us at one of our outdoor cinema events. A FREE CONCESSION OF YOUR CHOICE! IF YOU HAVE ANY QUESTIONS ABOUT OUR SCREENS PLEASE GIVE US A CALL 863-286-5922.